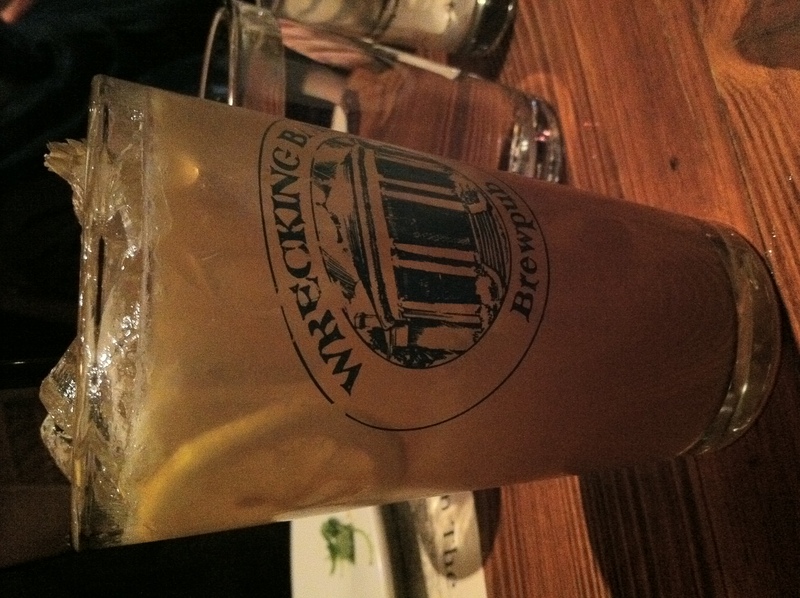 Nicky and I recently visited The Wrecking Bar Brewpub – one of our favorites – to see what was happening with the spring cocktails, the barrel-age program, and new brews. We were excited, but not surprised, to find lots of good things going on behind the bar and in the brew house. There are several places around Atlanta experimenting with barrel-aged cocktails, but there are only a handful who are really hitting the mark and producing quality, true aged cocktails. Double Zero Napoletana was the first to explore this concept and their barrel-aged Negroni is perfection. Wrecking Bar Brewpub is another libation spot where the bar manager Ian Cox understands what goes into producing quality aged cocktails. Don’t use too large of a barrel. Use a high quality barrel. Allow time for the aging process. Remember to turn your barrel regularly. And, as always, use quality ingredients. Ian is firm in his belief on exercising patience when aging. “We are willing to sit on a product to make it right,” he states. He has been turning out some great aged Manhattans. A single barrel holds a hefty recipe of 15 bottles of rye, seven bottles of Carpano Antica, a full bottle of Regan’s orange bitters, a half bottle of blood orange bitters, and marachino cherry juice. 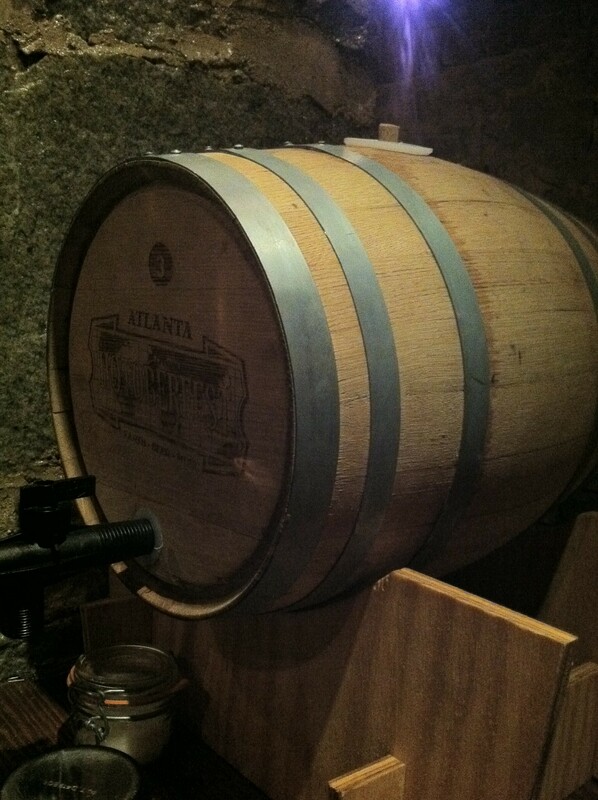 The mixture ages for several weeks, with daily rotations of the barrel to maximize the liquid’s exposure to the wood. The result is a mellow, smooth beautiful Manhattan that gets better and better with age. Not only are the barrels reused, but they are also “treated” or flavored somewhat by letting them sit with other liquids, such as the Wrecking Bar’s own Wee Heavy Scottish Ale. Nicky and I both got a little giddy when we started sipping on “The School Girl Crush.” Take a house-made citrus vodka, muddle some lemon and basil, add in vanilla agave nectar, splash in some Aperol and peach bitters . . . Wow! Smooth, easy to drink and so refreshing for warm weather. This “crush” could be a summer love. “The Hipster” has everything going for it as far as we are concerned. Rittenhouse 100 proof rye? Yep. Fernet Branca? Got that, too. Marry that with some Lairds and Carpano Antica and you are ready for a late night at the bar. Lots of layers of flavor with spice and pepper notes. Tying the beer and cocktail menu together is a tall, cool, refreshing summer sipper. “Hop Tea” combines muddled lemon and hop syrup with Bolivian AGWA, hopped grapefruit bitters and Wrecking Bar’s Victor IPA. Lot of citrus on the front end, with a nice hoppy finish. This was a favorite at the table. Still on the menu is the Wrecking Bar signature drink, “In The Park,”and for good reason. A salute to the neighborhood, this cocktail muddles fresh basil with grapefruit and gin for a light, cool patio libation. Just want whiskey? 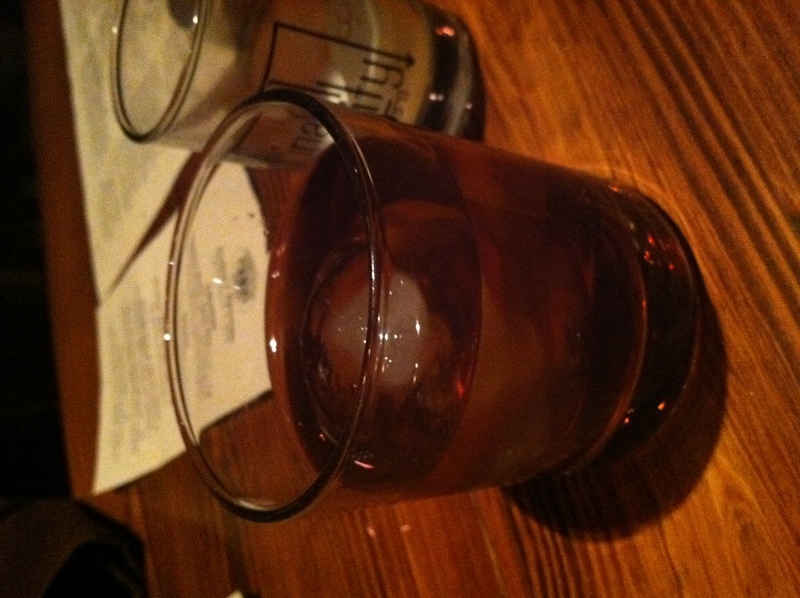 Bourbon and rye are in abundance at Wrecking Bar. Over 50 choices. Add to that the 20 or so single malts and Irish selections and you have a whiskey lover’s paradise. There are more special cocktails that show up for Sunday Brunch. Variations on the Bloody Mary include the “Smokey Mary” (classic with a float of Laphroaig single malt). 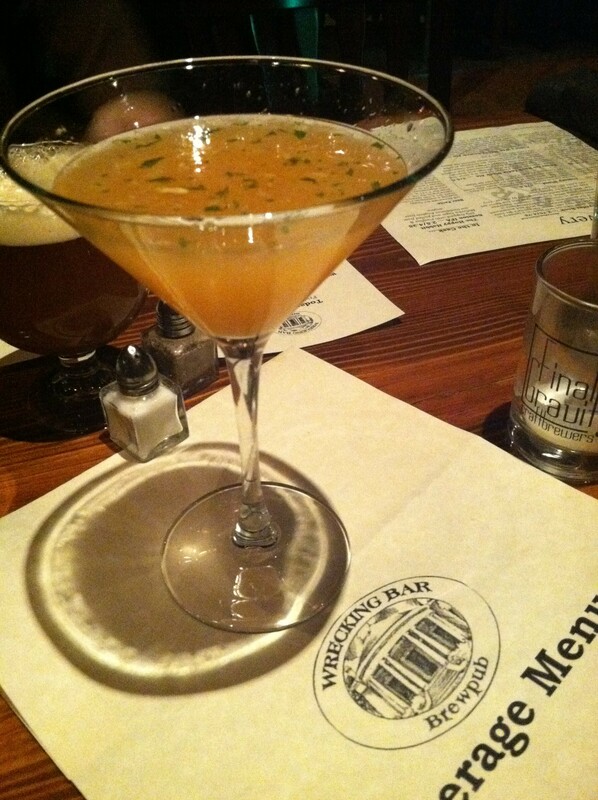 There’s also a Beermosa, the traditional French 77, and The Count – the Wrecking Bar’s take on a Negroni. Not to wander too far away from cocktails, we would be remiss if we did not mention the creative, innovative and delicious brews being developed by owner and brew master Bob Sandage. The Piper stopped by recently and was blown away by the Punch Yo Momma Smoked Porter. (I believe the text he sent to all of us said – “This is the best porter, no, the best beer I’ve ever had! It tastes like bacon.”) Named after one of Bob’s favorite quotes from Smokey and the Bandit, the guys smoked 55 pounds of Munich malt over Alder wood (from the Pacific Northwest) to provide a subtle, unique smoky quality. The complex “maltiness” comes from the smoked English grains and medium crystal, black and chocolate grains. Here’s hoping this one becomes a staple. Taking it to another level, somebody behind the bar had the brilliant idea of taking the Wrecking Bar Bloody Mary and topping it with a splash of “Where There Is Smoke There Is Fire” – the Punch Yo Momma smoked porter aged with chipotle peppers in the cask! You can check out what’s brewing, what’s being served, and what is being dreamt up by visiting the Wrecking Bar Brewpub online. Even better, stop by one week for New Brew Thursdays and sample the new creations! With an ever-changing beer menu, there is always something new to sample. Classic cocktails anchor the menu with seasonal specialty drinks rotating off and on, and the food is consistently amazing. And keep your eyes out for news on the big anniversary celebration coming up this summer! We have a feeling there will be something special in store for this occasion. 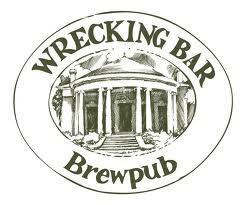 The Wrecking Bar Brewpub is located 292 Moreland Avenue in L5P/Inman Park. Brewery tours are held each Saturday at 4:30 p.m.
correct quantities and mixture make Phen375 an efficient appetite suppressant. Your intention is all time to determine new consuming habits that may only happen following following a Phen375 consuming habits program for several days. do you do updated on any of your details? Hi, only turned attentive to your current blog page through Bing, observed that it is really educational. My business is planning to look out for brussels. We will be happy if you ever continue on this from now on. Lots of people shall be gained from your writing. Regards! protein has become a smaller part of our diets, and carb intake has soared. modern looks were another hit style in jewelry. There are many teens that invent their own styles and aim at becoming an icon among their groups. would be moving our office to a new location; this was great news considering our company had grown in number quite drastically over the last year. which are self storage and mobile storage. Our company knows for installing and using the best parts of auto. Women go for many alternatives so that she can wear high heels comfortably for longer hours without getting tired. Savd as a favorite, I love your blog!